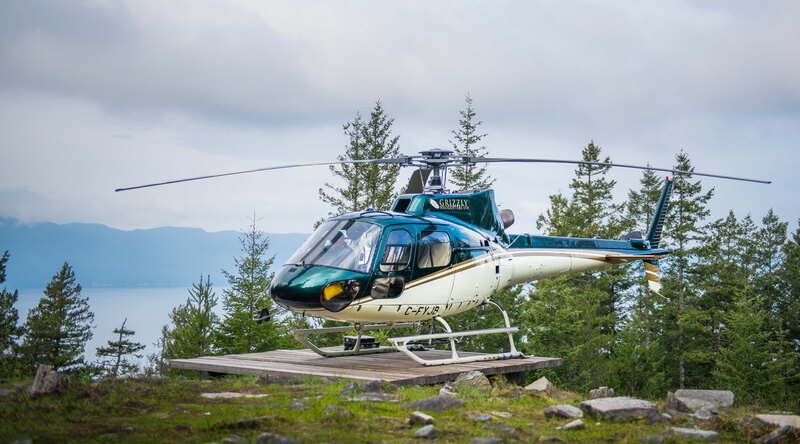 Grizzly Helicopters operates a fleet of two Astar 350 B2 helicopters based in Campbell River and Port McNeill on north central Vancouver Island. These helicopters are known for their fast, quiet ride while providing a high level of passenger comfort. 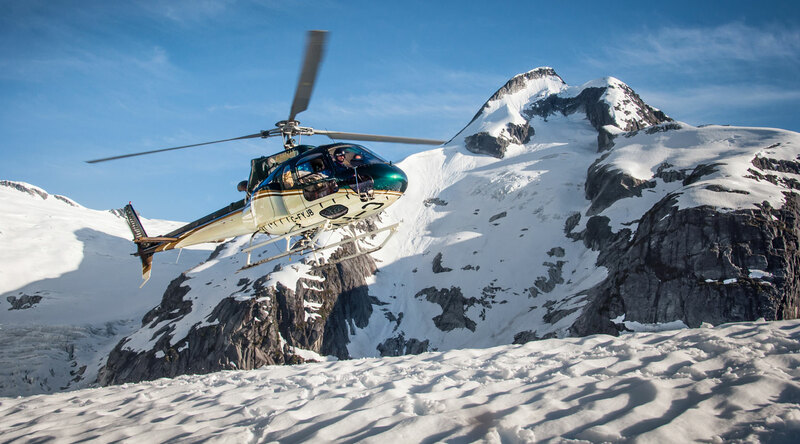 Astars are also one of the few helicopters capable of maintaining performance from sea level to the top of the coastal mountain range while providing exceptional visibility from all seats. At Grizzly Helicopters we offer a full slate of helicopter charter services for commercial and government clients. 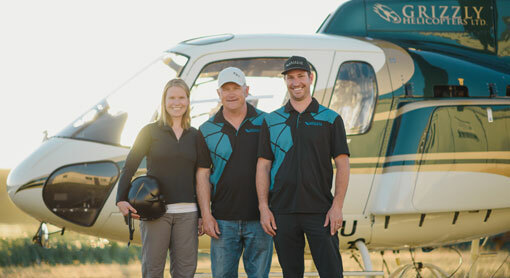 Based in Campbell River and Port McNeill our experienced pilots and fleet of helicopters are standing by to provide transportation and support for you and your crew. We offer services, including Medevac and Fire Fighting, anywhere on Vancouver Island or the central West coast of British Columbia. If fun or fishing is on your mind Grizzly Helicopters is happy to accommodate you with our Glacier Tours or Heli Fishing Trips. See the magnificent coastal mountains of beautiful British Columbia, land on a glacier, have a picnic and enjoy a bottle of wine on top of the world. You're the boss! 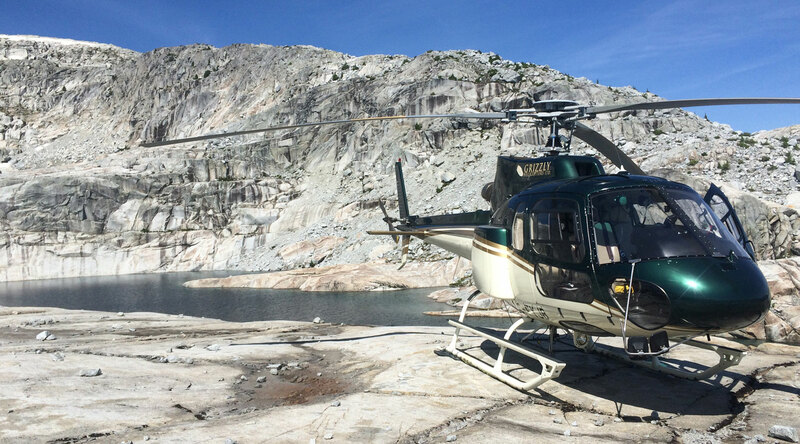 Our Heli Fly in Fishing Trips offer an incredible wilderness BC fishing experience. Want both? 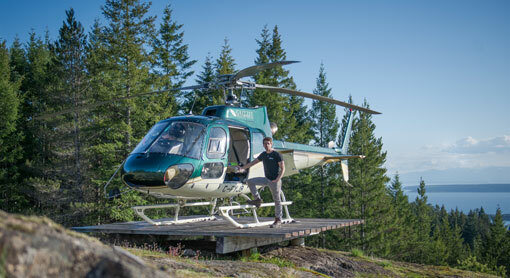 Custom Heli Tours available. 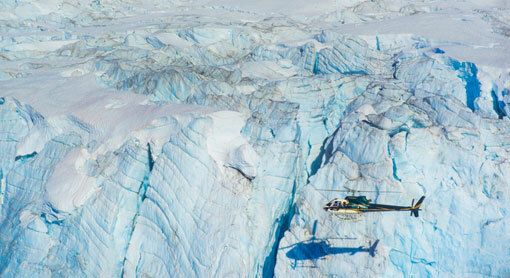 Helicopter tours, BC Heli Fishing Trips and Commercial Helicopter Charters. Based in Campbell River and Port McNeill serving Vancouver Island and West Coast British Columbia, Canada. Fast, comfortable fleet of helicopters with exceptional visibility.